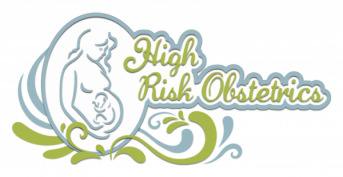 Registration is now open for the 3rd Annual High Risk Obstetrics Conference presented by the Regional Perinatal Program at UT Medical Center. Please join us to hear five dynamic speakers including special guest, Dr. Lee P. Shulman from the Feinberg School of Medicine at Northwestern University. Opioid Use Disorder in Pregnancy: Detoxification? Naltrexone? Bridge Device? Lunch is provided and a reception will follow after conference adjourns. We hope to see you there! Please share with others who may want to attend. This activity has been planned and implemented in accordance with the accreditation requirements and policies of the Accreditation Council for Continuing Medical Education through the joint providership of the University of Tennessee College of Medicine and the UT Medical Center. The University of Tennessee College of Medicine is accredited by the ACCME to provide continuing medical education for physicians. AMA: The University of Tennessee College of Medicine designates this live activity for a maximum of 4.5 AMA PRA Category 1 Credit(s) TM. Physicians should claim only the credit commensurate with the extent of their participation in the activity. PAs, NPs and Nurses: Physician Assistants, Nurse Practitioners and Nurses may use these credit hours toward certification renewal. This credit is acceptable by the American Academy of Physician’s Assistants (AAPA), American Nurses Credentialing Association (ANCC) and American Academy of Nurse Practitioners (AANP).